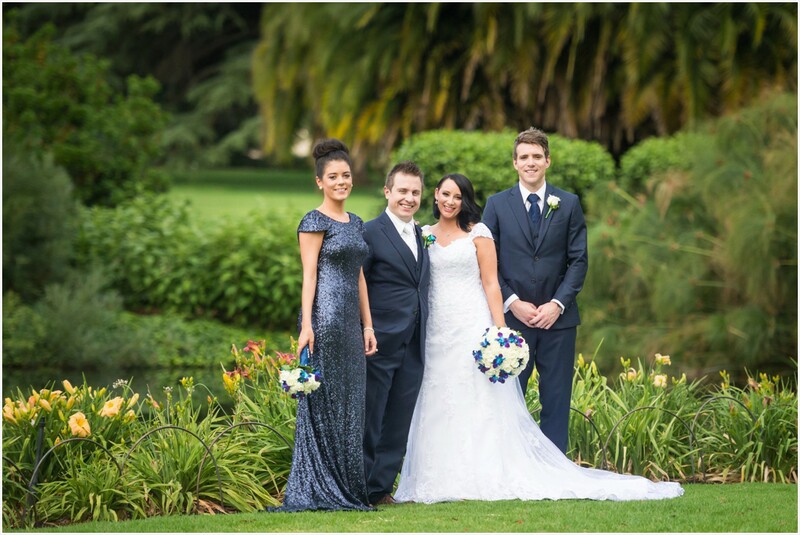 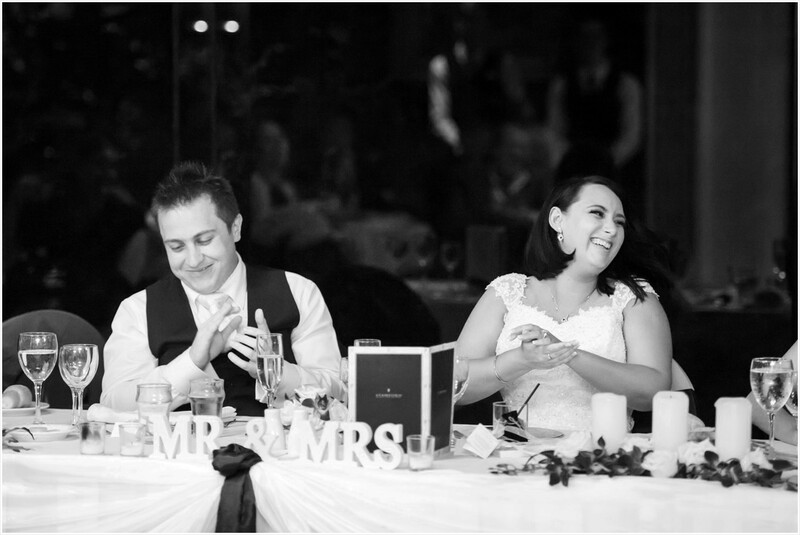 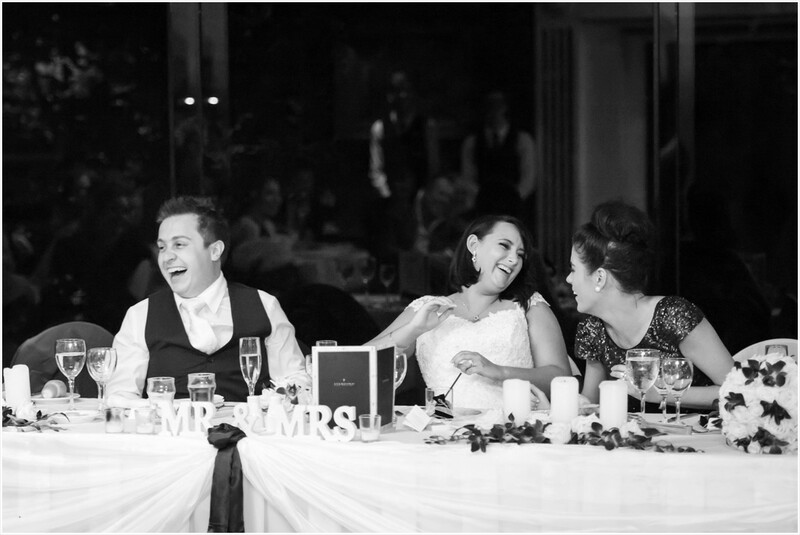 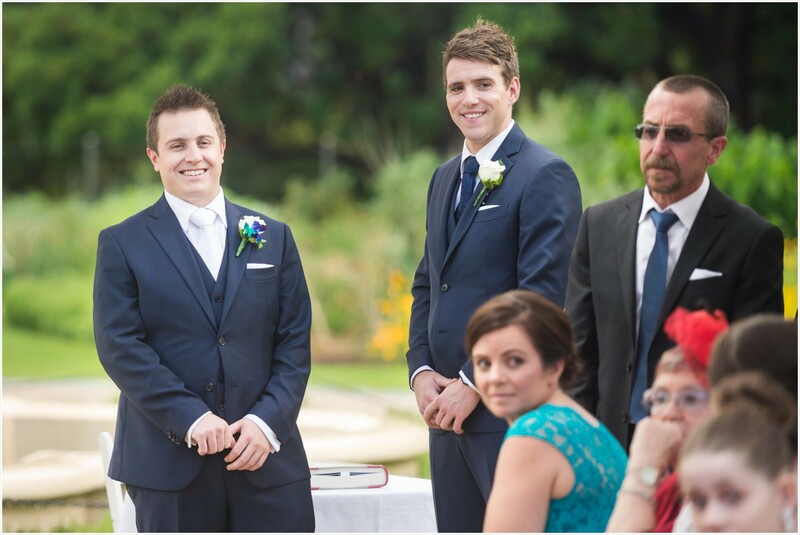 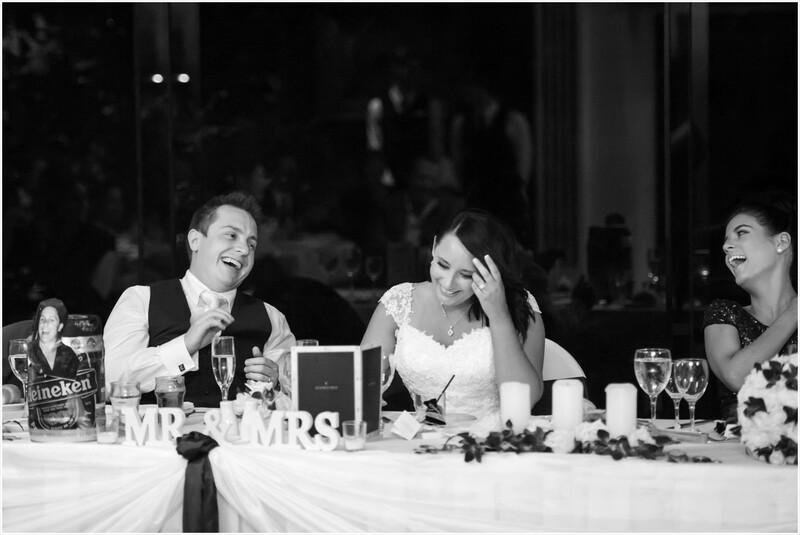 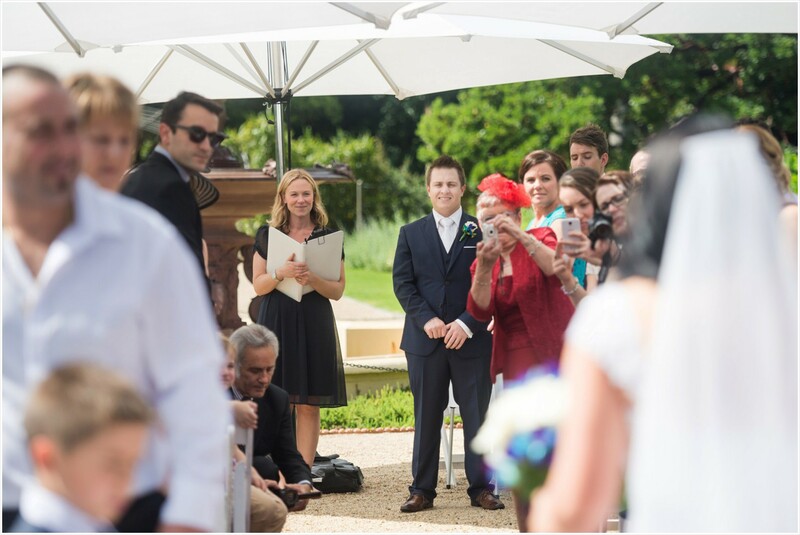 Nicole’s Aunt and Uncle, Lisa and Mike also made the trip for their wedding in Adelaide, celebrating with a ceremony in the beautiful Botanic Gardens and a reception at the Stamford Plaza. 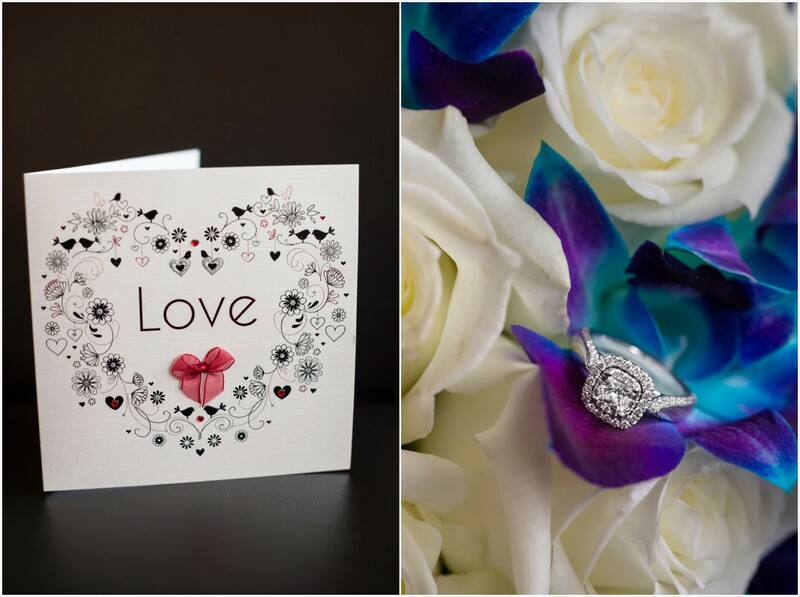 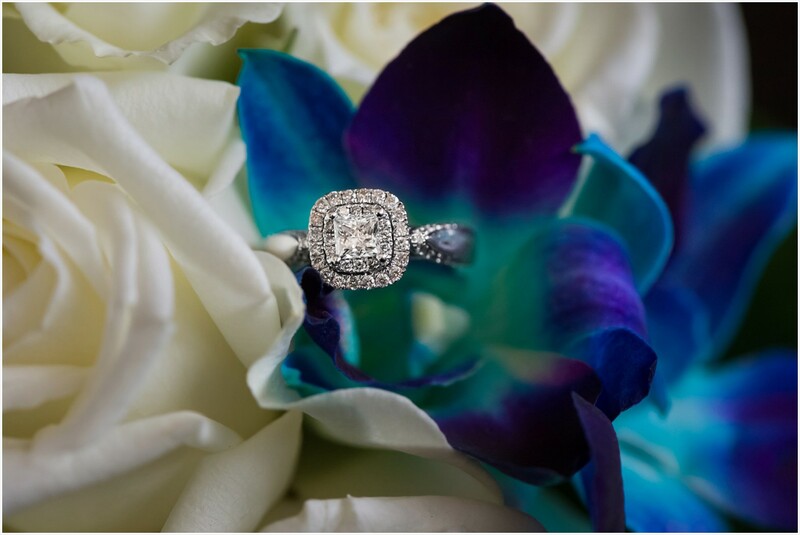 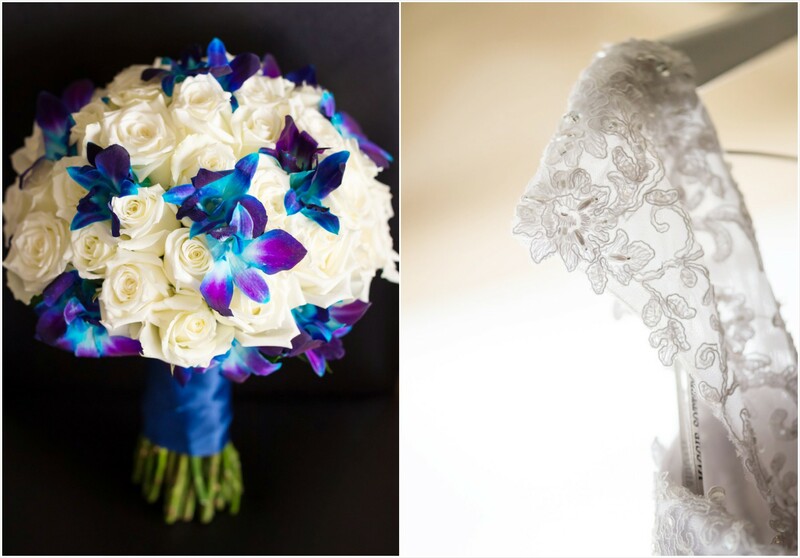 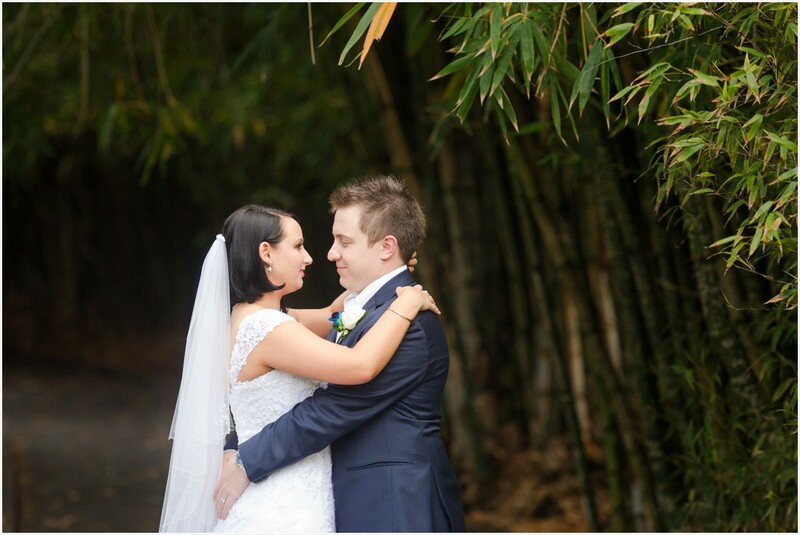 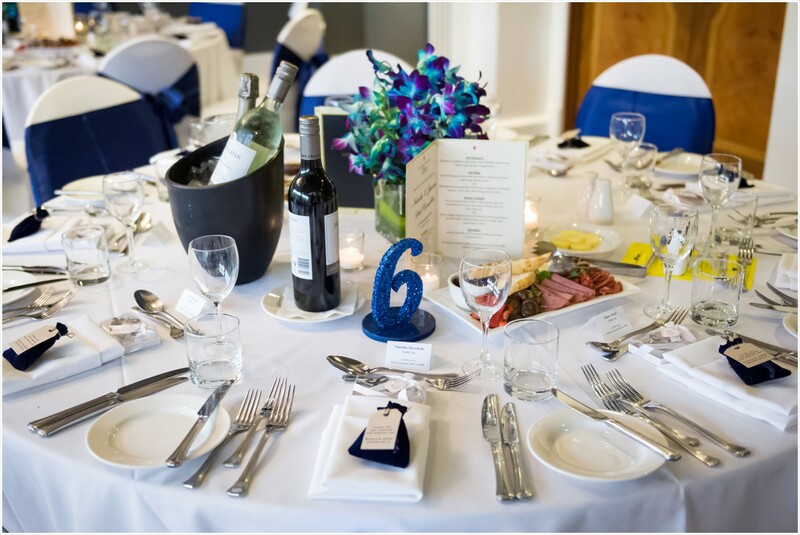 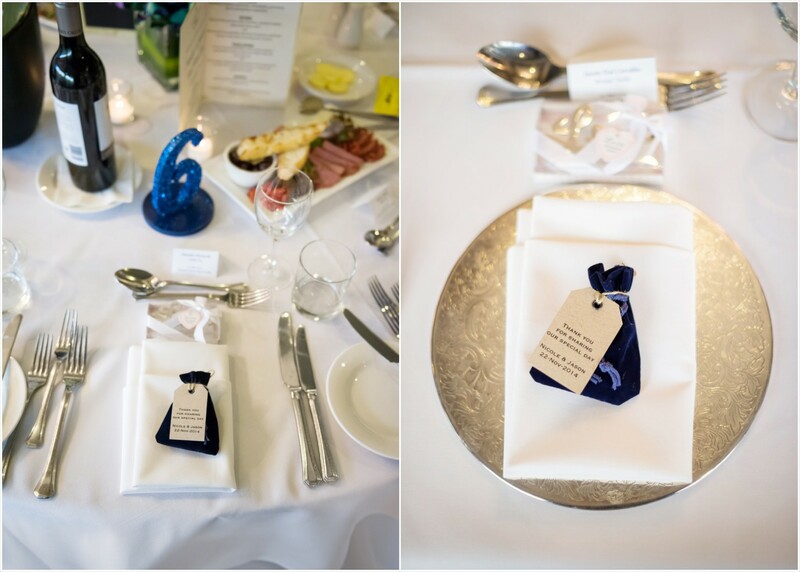 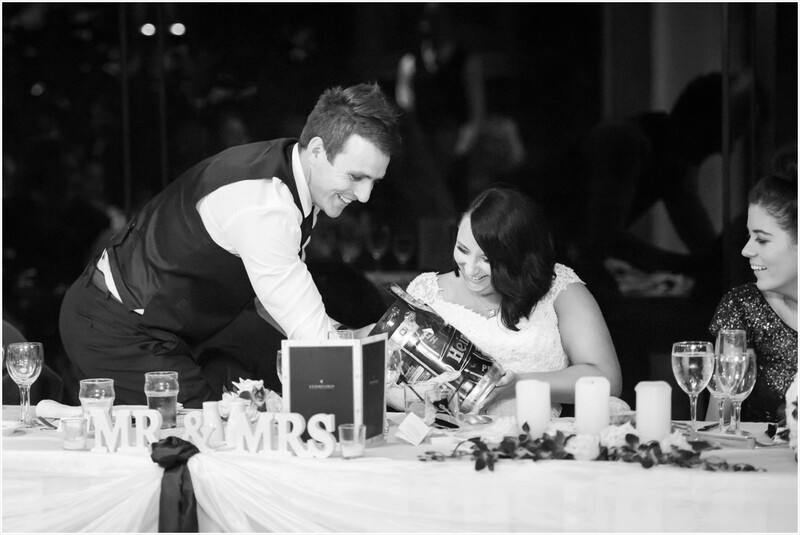 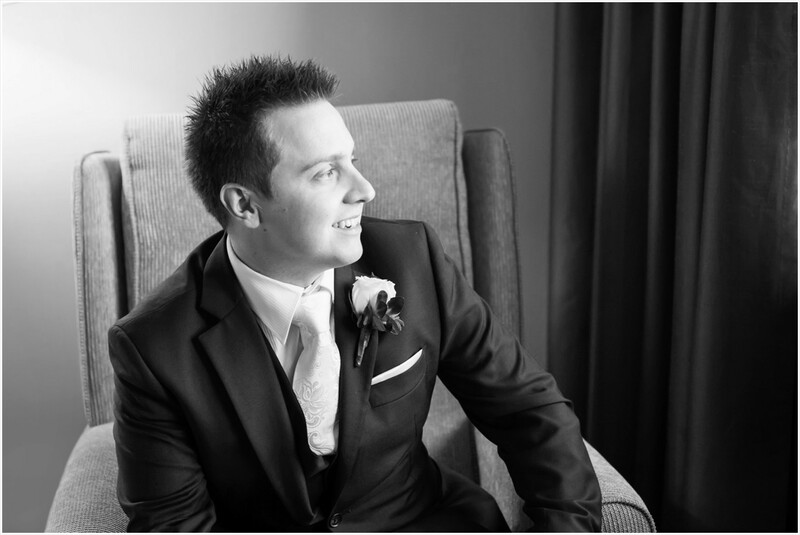 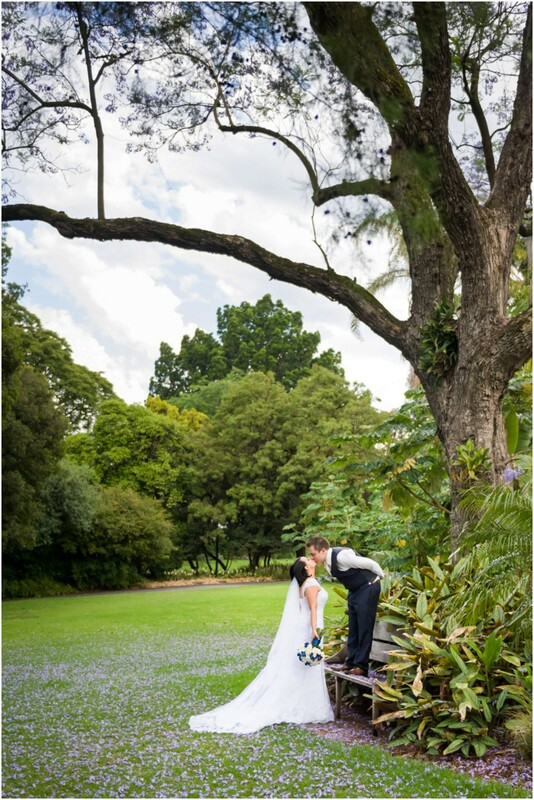 There were a lot of personal touches in their wedding day, the Botanic Gardens is where they had their first date, the orchids that decorated the tables are the flowers that Jason sends Nicole every Valentines day, and the theme colours of white and blue? 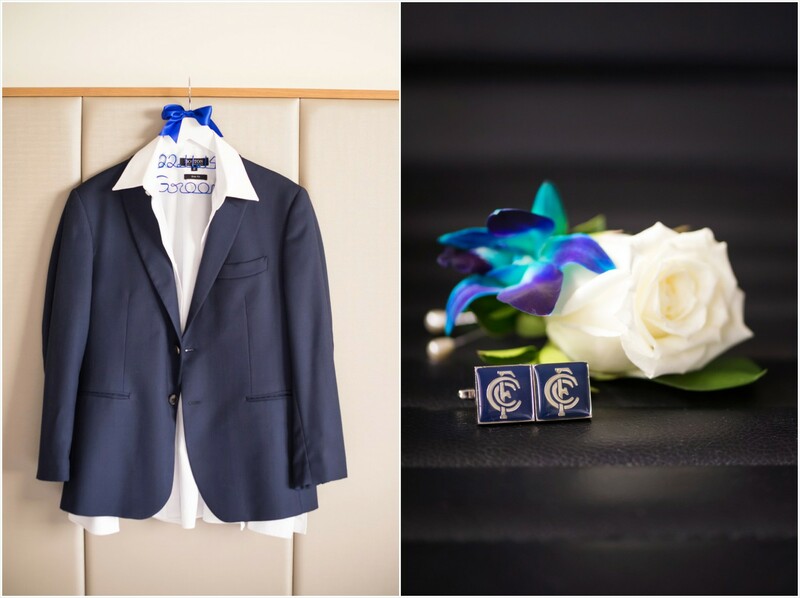 Well that was homage to Jason’s favourite football team, the Carlton Blues. 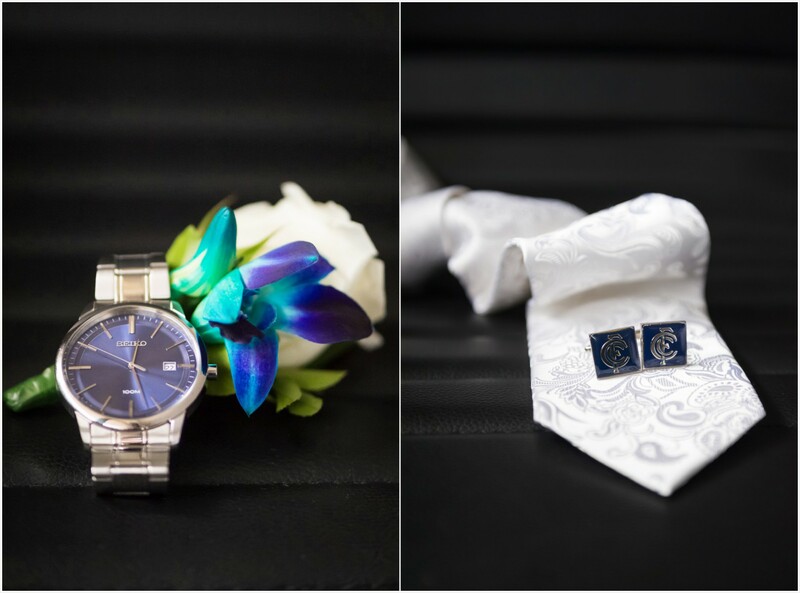 “If I could give him one thing, it would be that as the colour theme!” He even had Carlton Blues cufflinks! 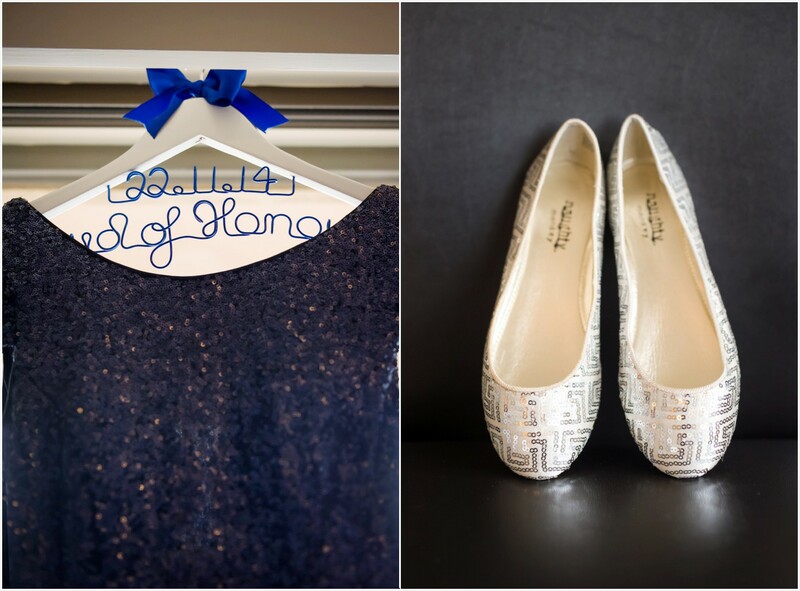 With all the blue, Nicole definitely had the ‘something blue’ tradition covered. 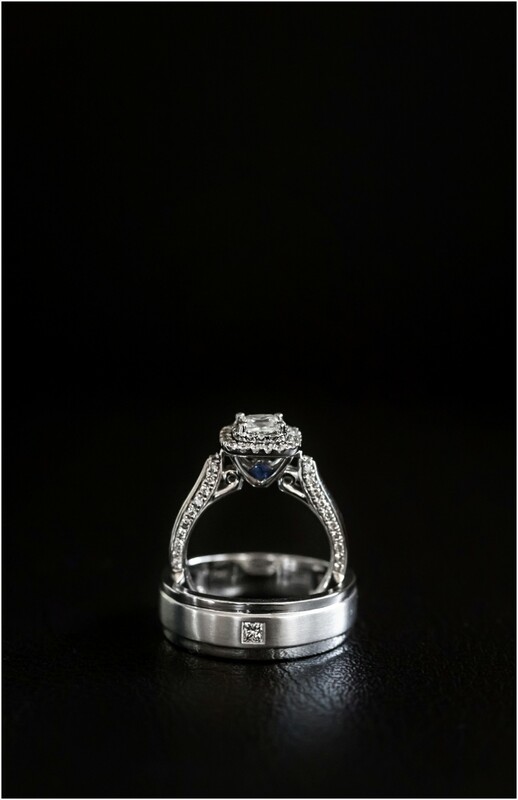 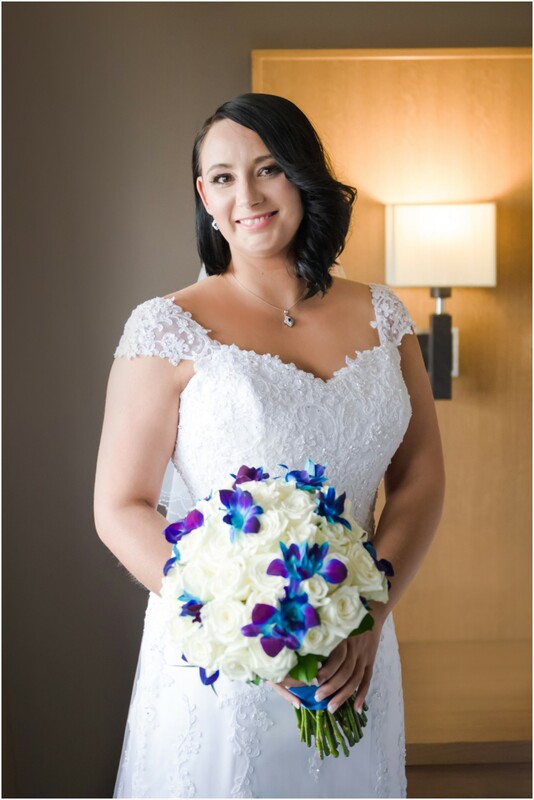 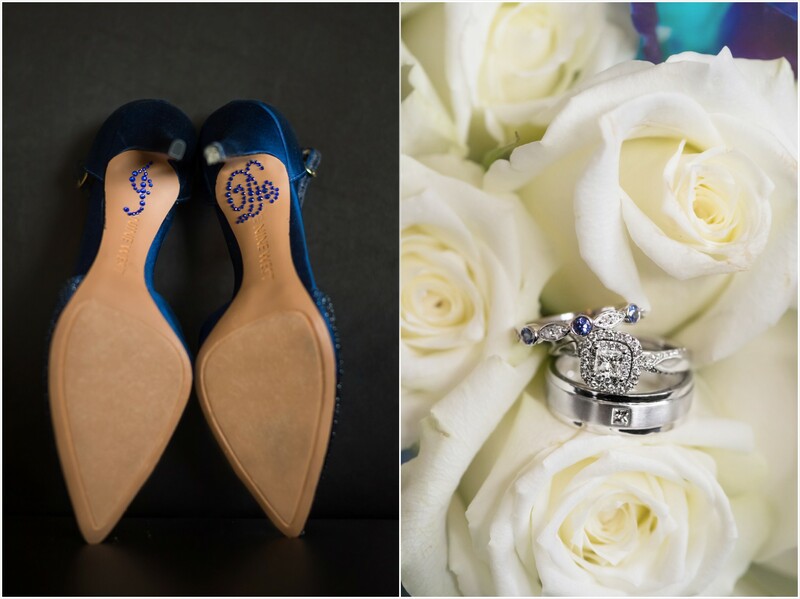 Especially loved the blue jewels, ‘I do’ stickers on the bottom of her shoes, and the blue garter for Jason to find later included their wedding date on the ribbon. 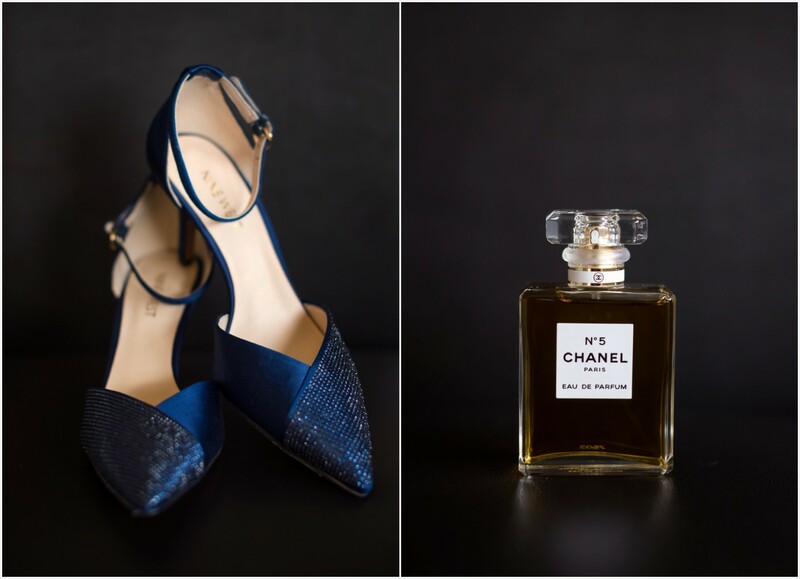 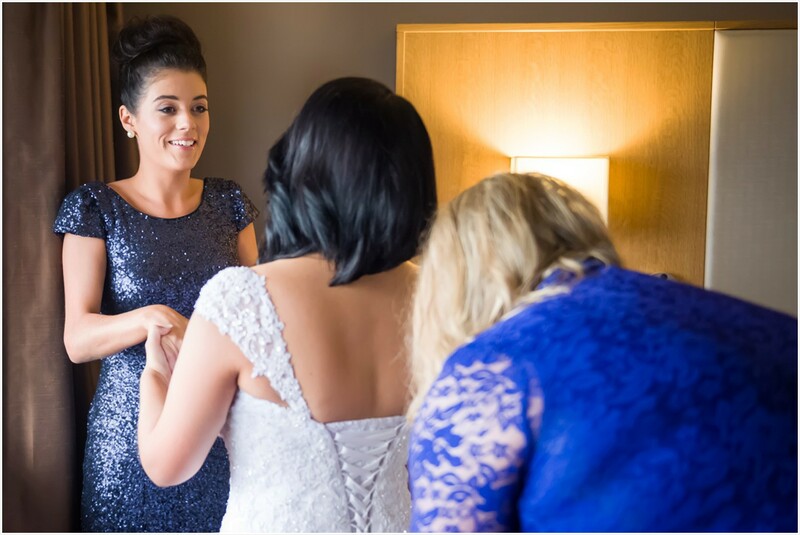 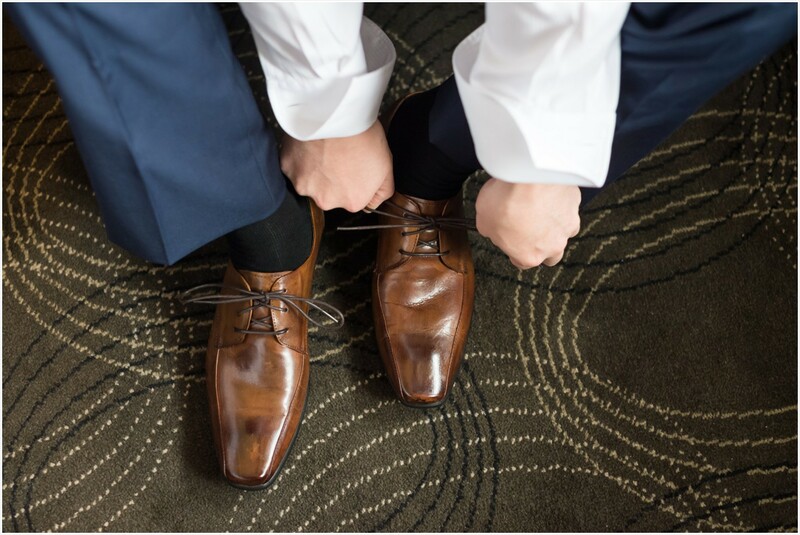 Nicole’s blue shoes peeped out from under her lace detail dress and her bridesmaid shone in a custom navy sparkle style dress. 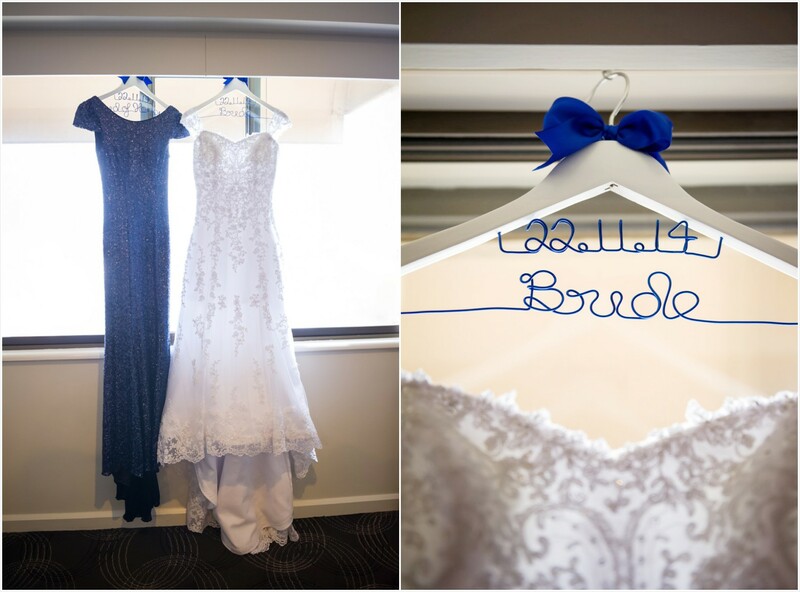 We had to get the (blue and white!) 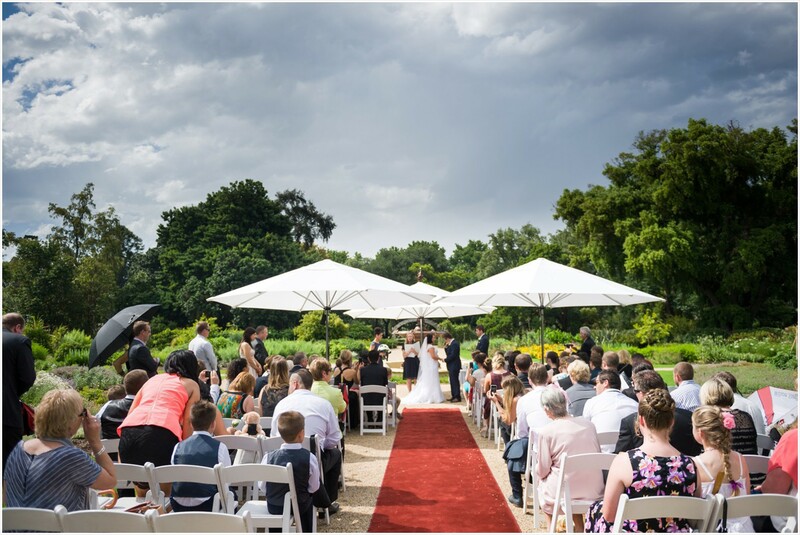 umbrellas out to make our way to the red carpet aisle but the sun came out for their special moment. 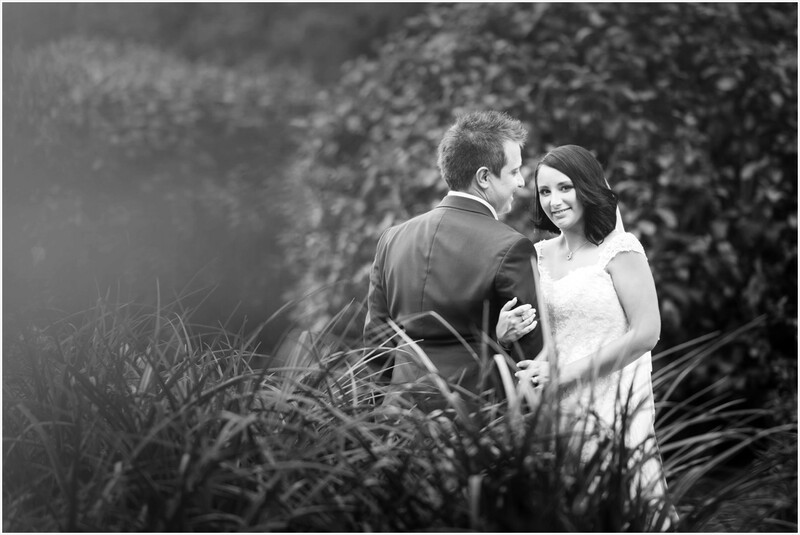 And then the rain returned, but did we let it stop us…never! 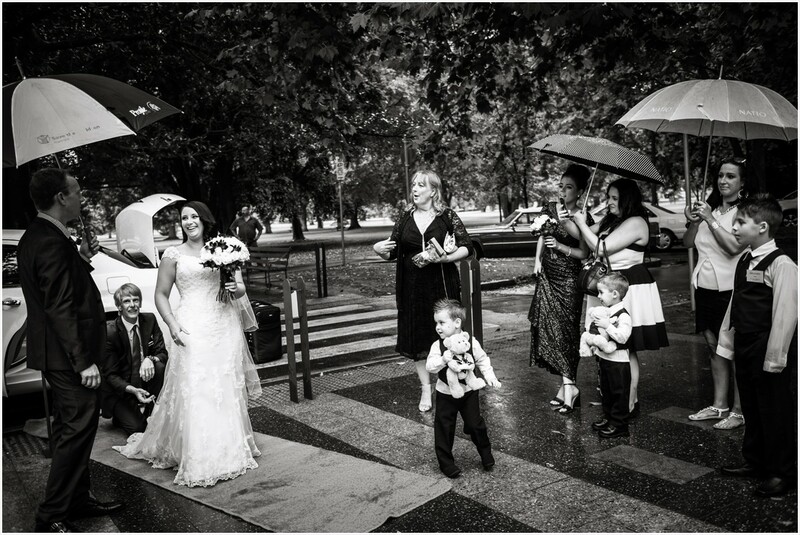 (#raincouldntstopus has become my new hashtag!) 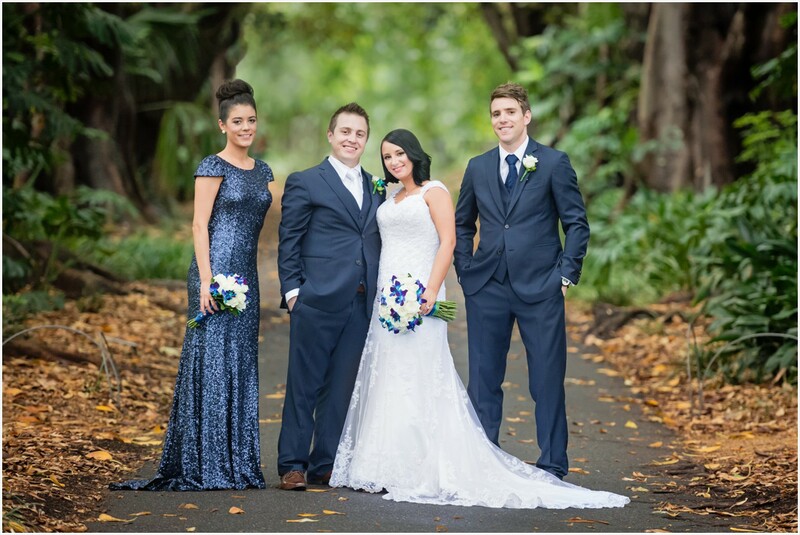 The rain didn’t turn the mood blue (see what I did there… haha),and we had a lot of fun with the bridal party photos. 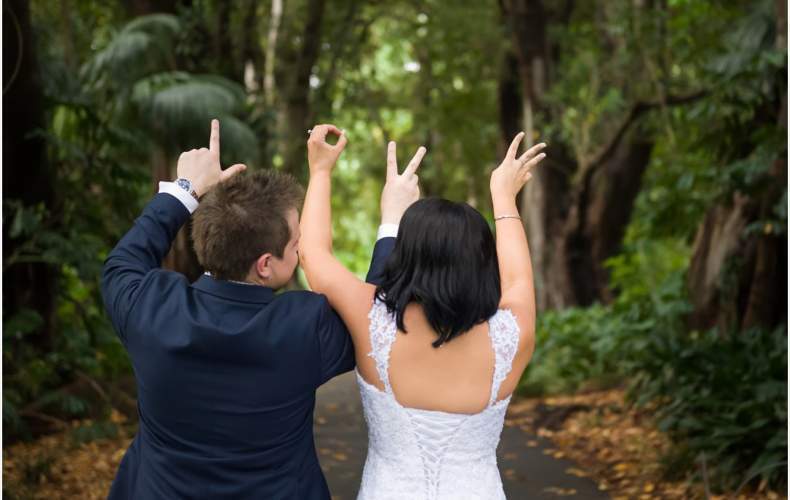 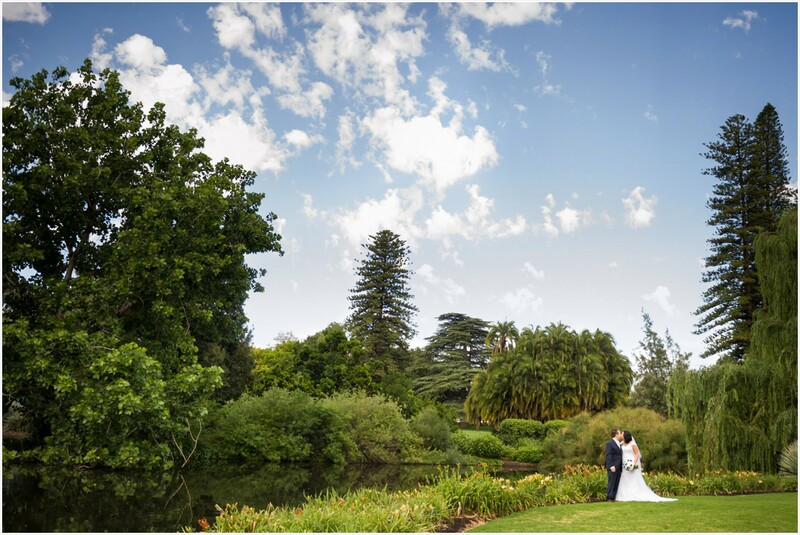 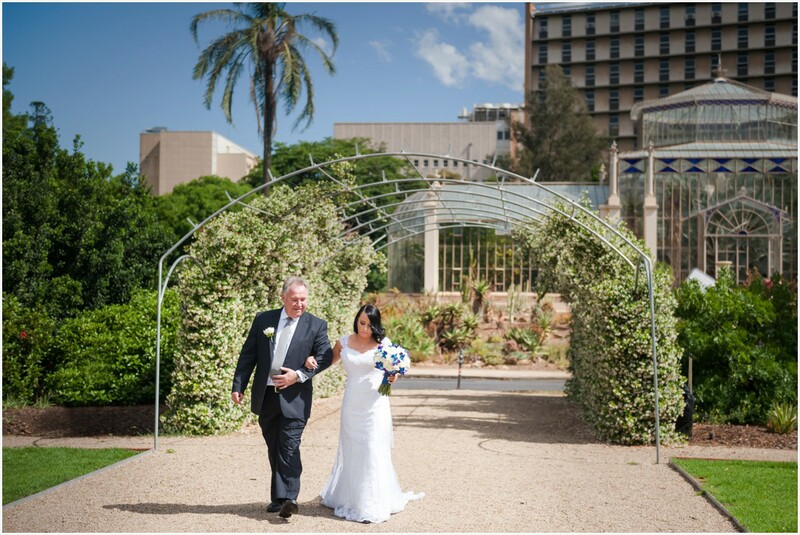 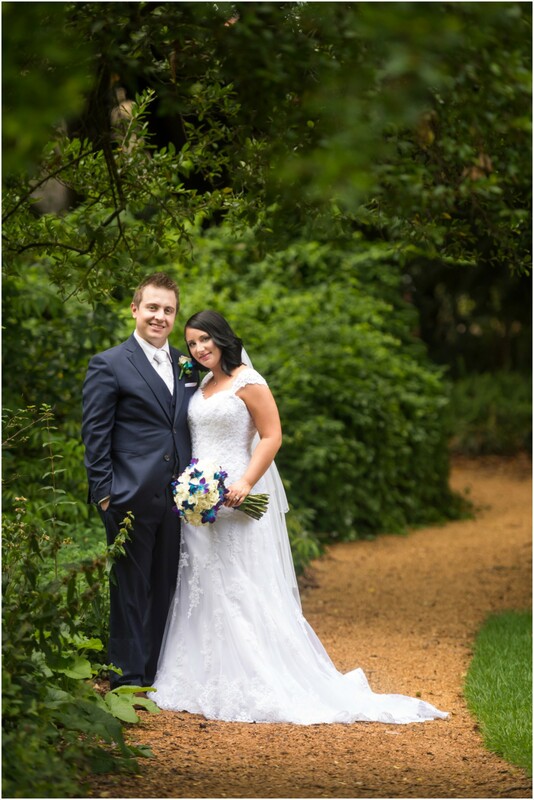 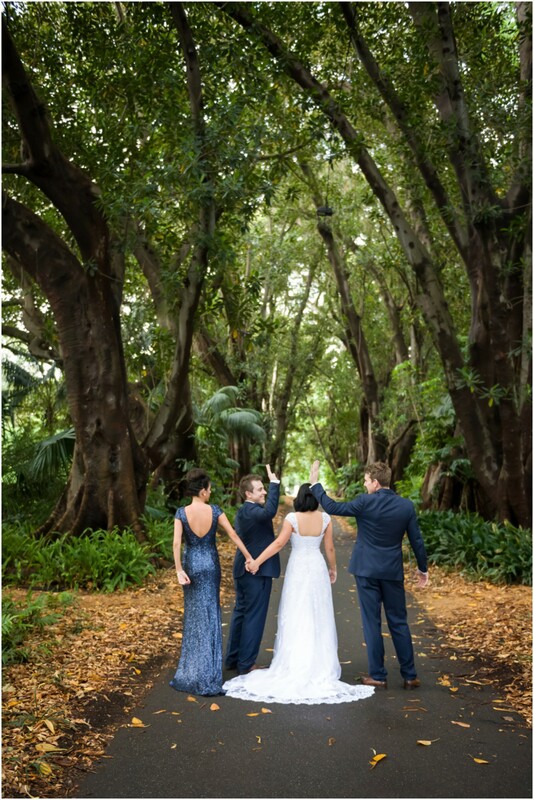 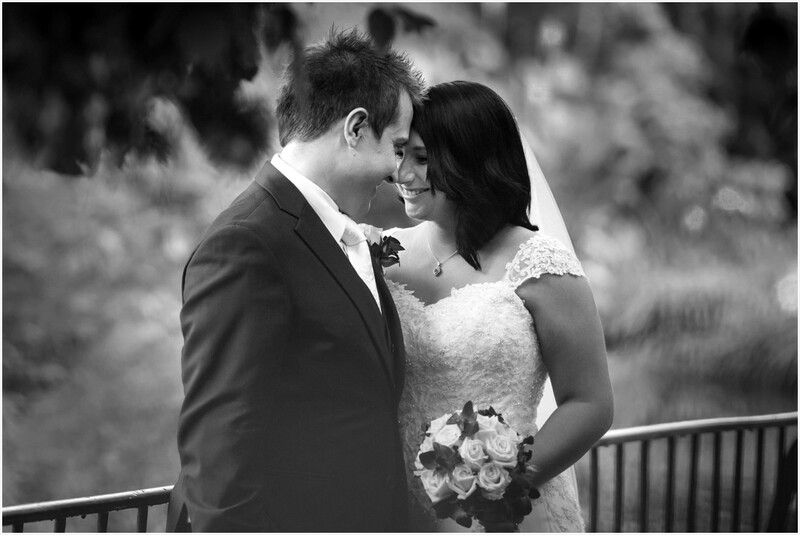 I love to shoot wedding photos in the Botanic Gardens, the tree lined paths are so dramatic and romantic. 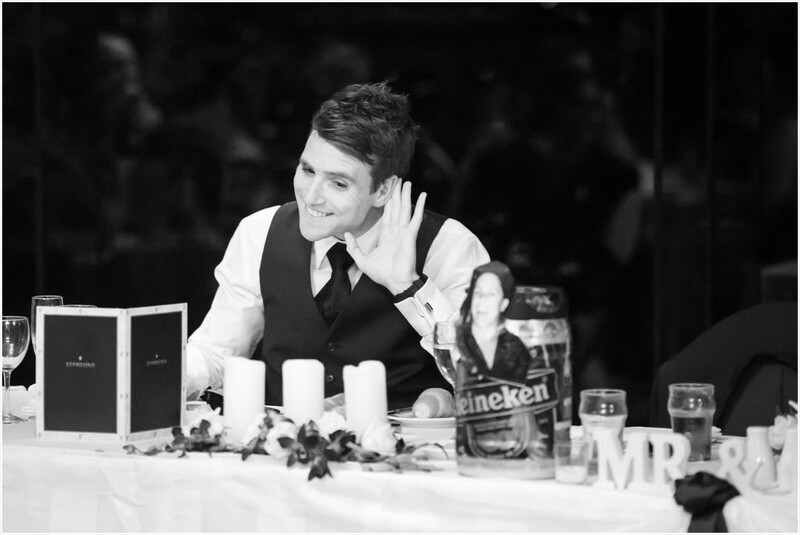 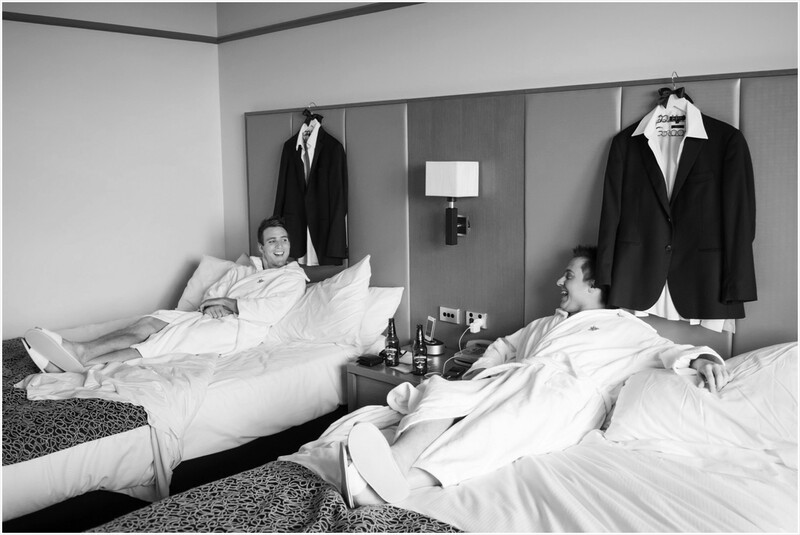 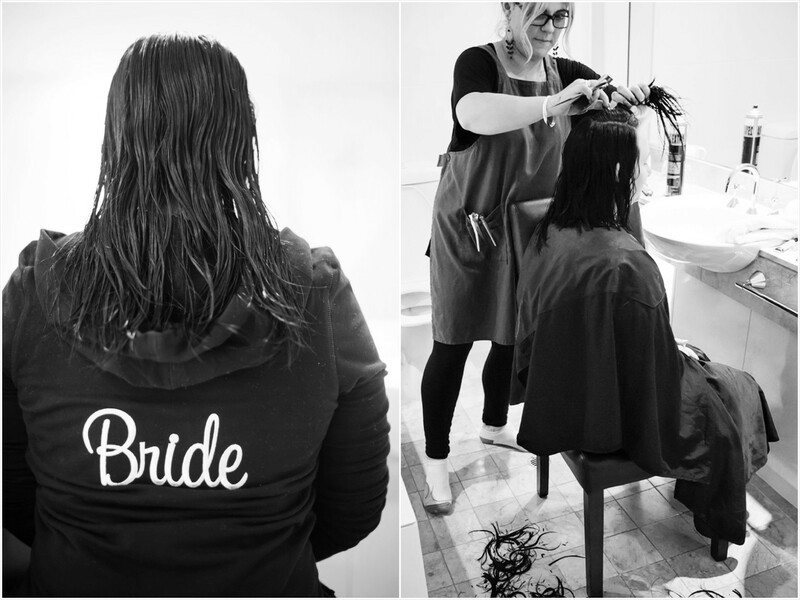 We had the best ever hair and make up artist with us the whole day which was super helpful…. 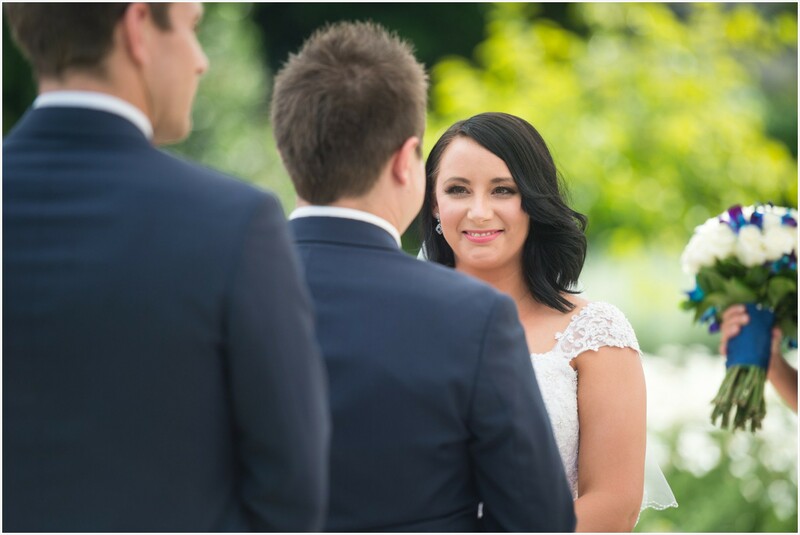 Thank you Brooke. 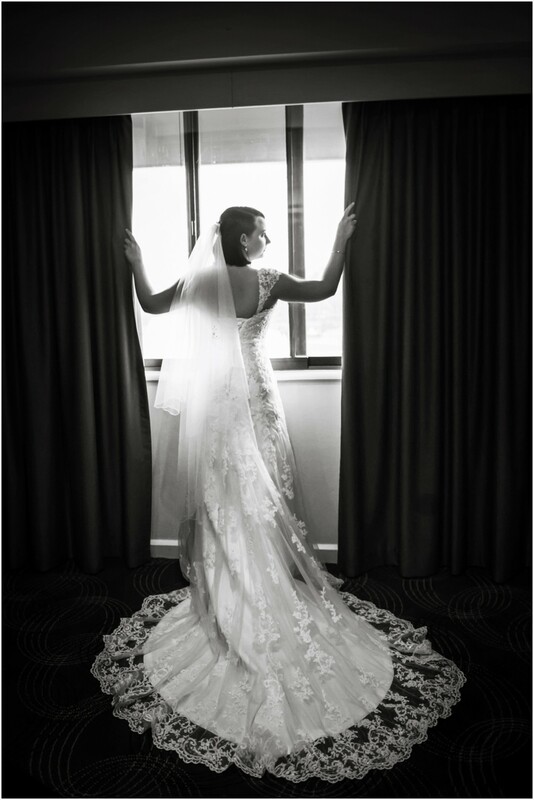 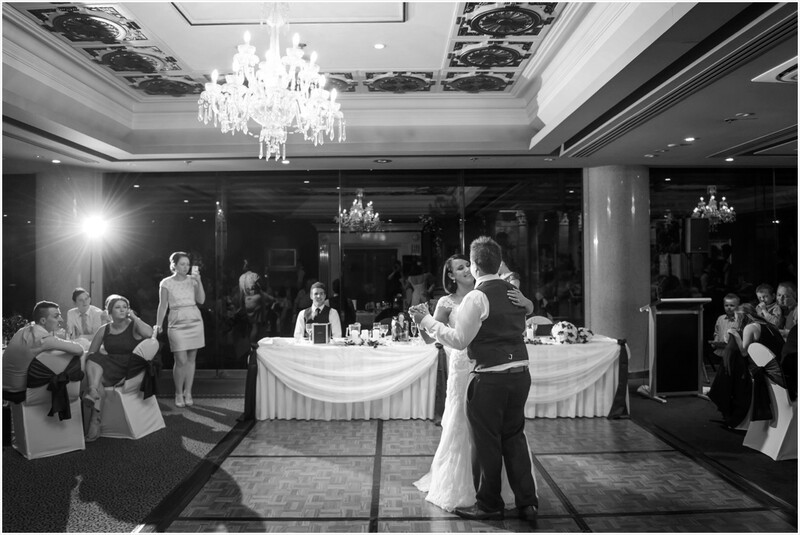 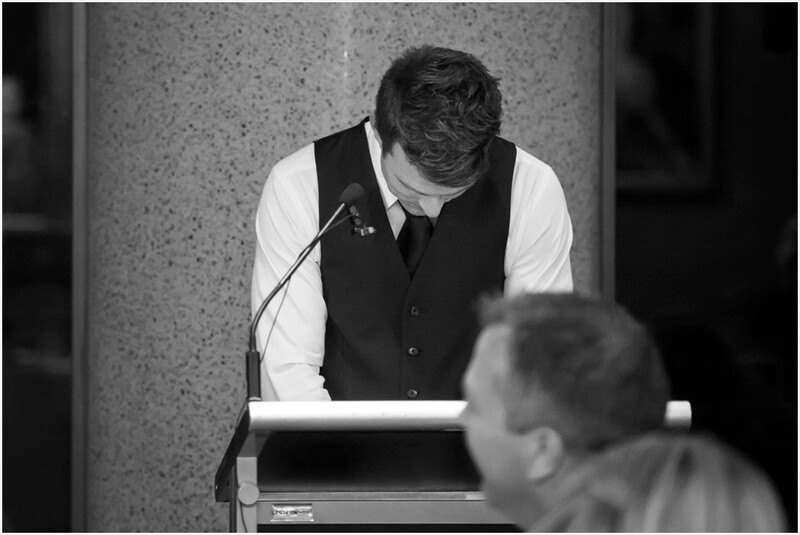 The reception at the Stamford Plaza Adelaide had a brilliant back drop thanks to the floor to ceiling glass walls. 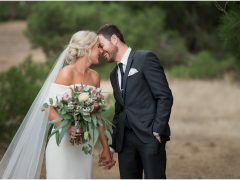 There were lots of laughs through the speeches and the deep relationships and friendships between them all were apparent and heart-warming. 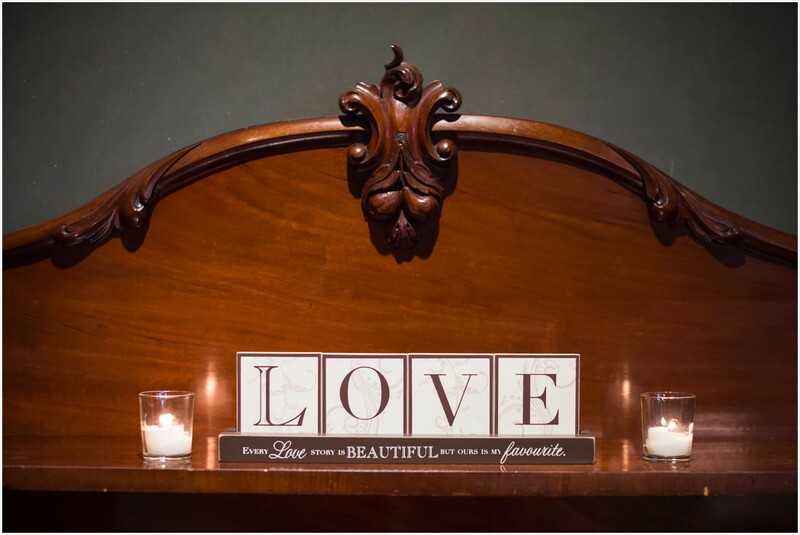 The cake topper was very charming, a silhouette of a sweet boy and girl sharing a kiss. 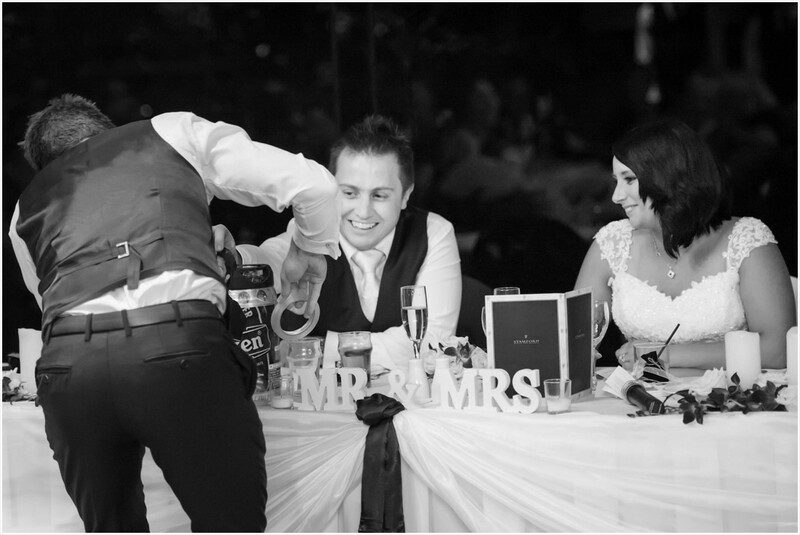 I think there was a certain page boy who wanted some cake early! 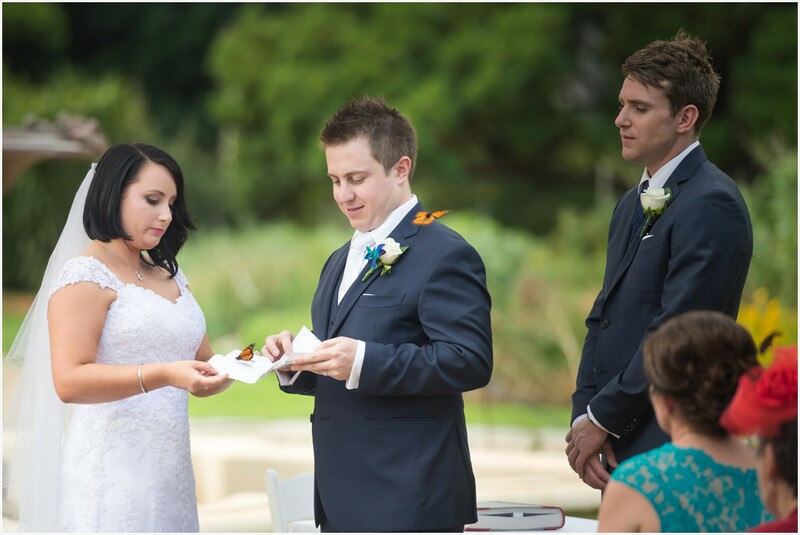 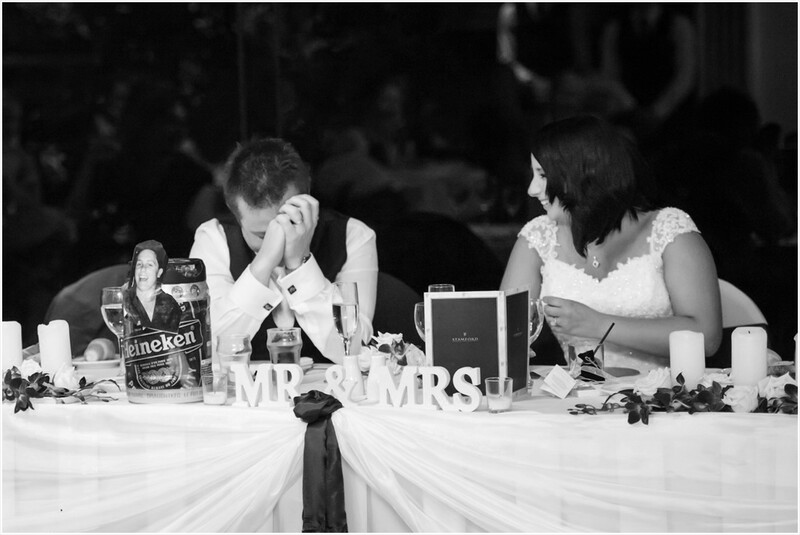 Guests were asked to write a message on a piece of a puzzle so that later Jason and Nicole could put the pieces together and share the sweet notes from their friends and family. 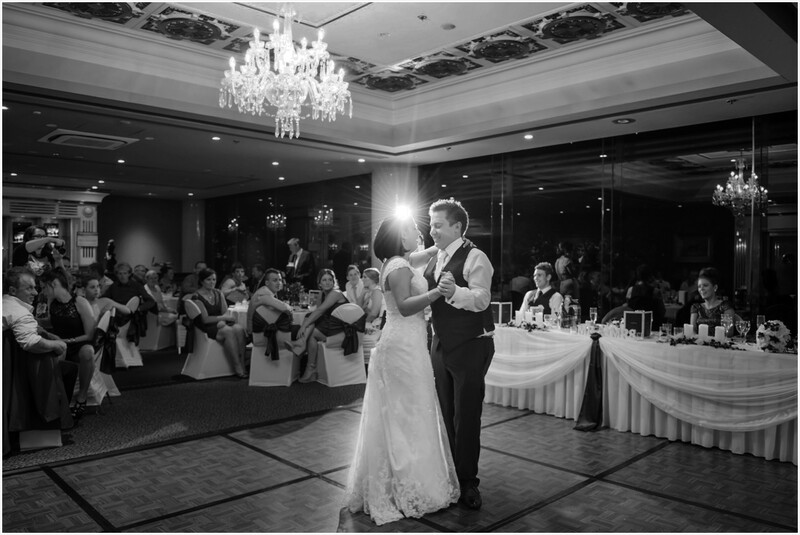 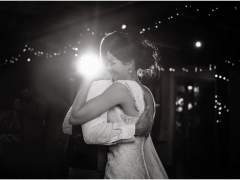 As they had their first dance as husband and wife under the sparkling chandelier, I said a silent thank you for the work I do, the chances to meet wonderful people like Nicole and Jason, and photograph beautiful weddings in Adelaide. 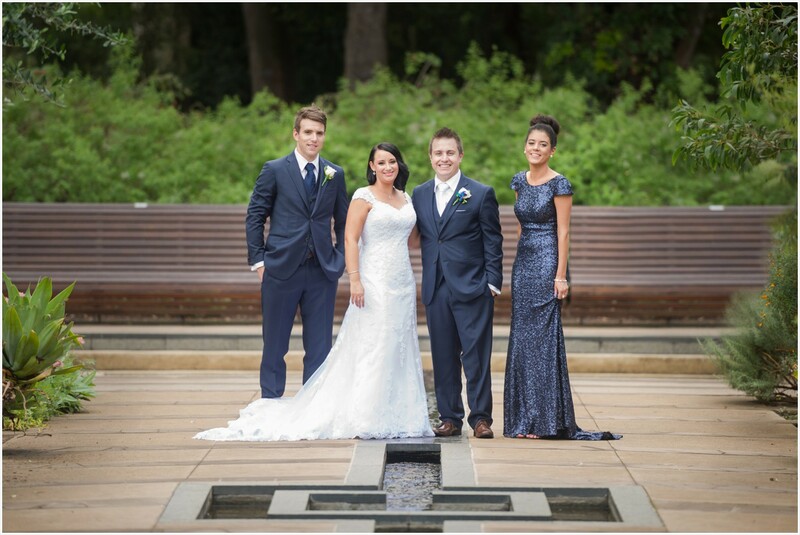 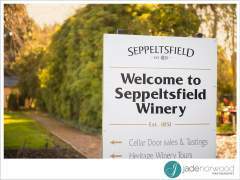 Thank you for asking me to be a part of your special day Nicole and Jason. 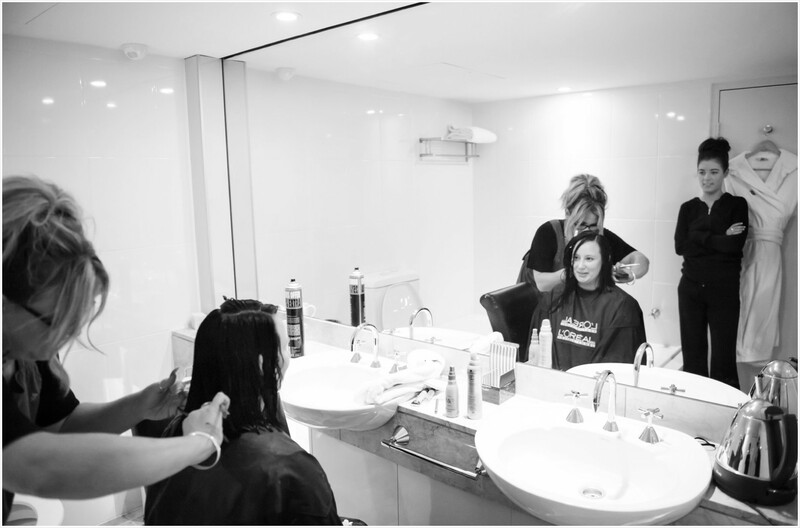 Nicole about to get all her hair chopped off as a surprise for everyone….